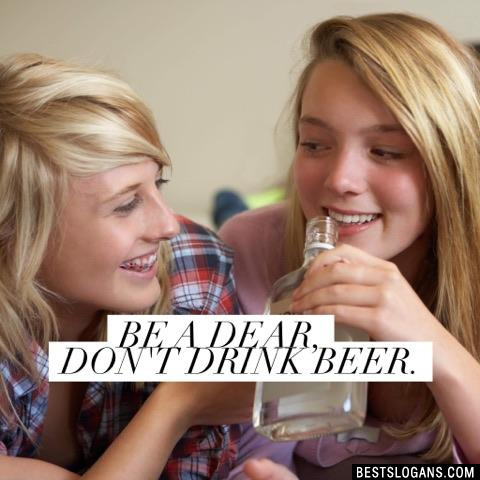 22 new entries added to underage drinking slogans, that include pictures. 1. 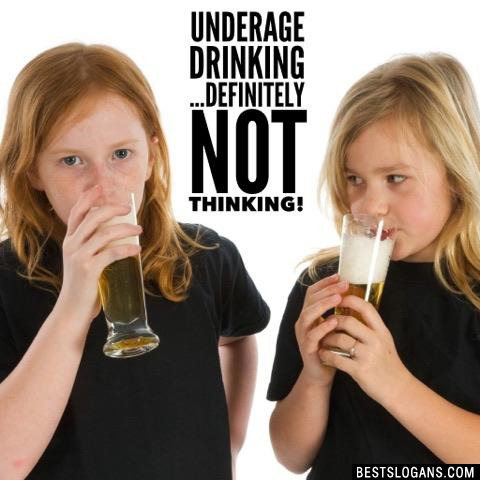 Underage drinking ...definitely not thinking! 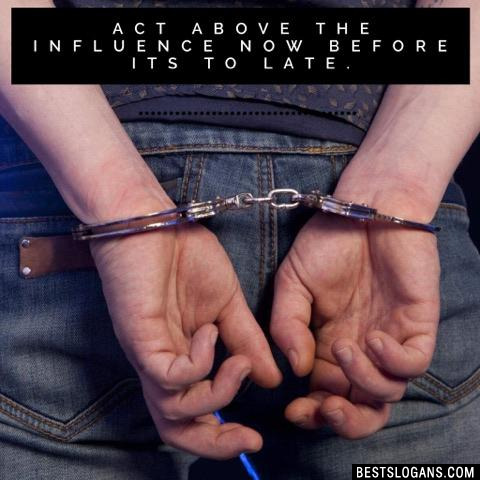 8.7 million people aged 1220 consumed alcohol in the past month. 10% of 8th graders drank some amount of alcohol in the past 30 days. 4,300 underage deaths are caused by excessive drinking each year. 3 The boozer is the loser. 6 Drinking damages growing brains. 7 If you drink there is no future. 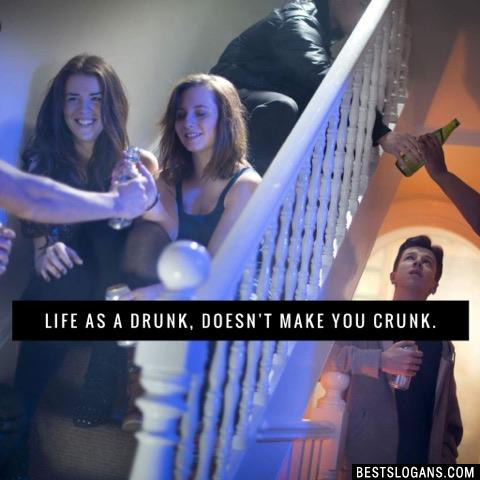 8 The problem with underage drinking is the mourning after! 10 Use your brain, throw it down the drain. 15 Don't drink beer in here! 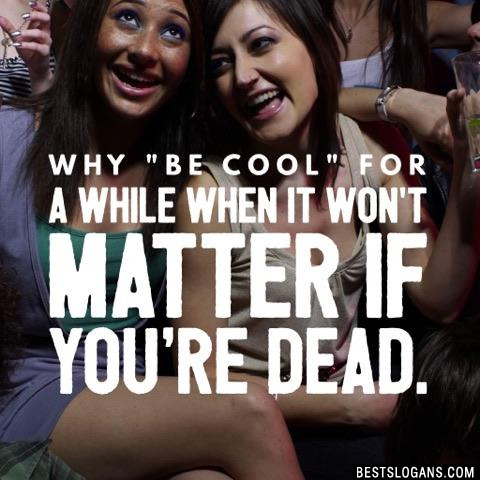 17 Dont be a boozer ...it will make you be a loser! 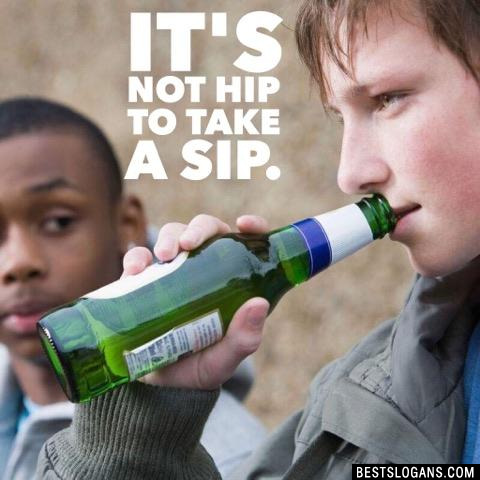 Can you think of a good Underage Drinking Slogans we're missing? Or come up with a clever one of your own. Please share below.